The Smirnoff Copper Cup competition pitched top bar tenders against each other in a race to make the perfect cocktail. Working with new media company The Sound Alliance (now Junkee Media), I was assigned with the task of creating a microsite to promote and document the Copper Cup. I used the concept of the passport to reflect the exotic locations where the competitions were held, as well as the fact that the winner earned a right of passage to bar-master notoriety. I created all graphic elements used in the site (apart from the branding assets supplied by Smirnoff), and designed all pages. The passport was shot and then branded with the Smirnoff brandmark. Smirnoff provided the background graphic. 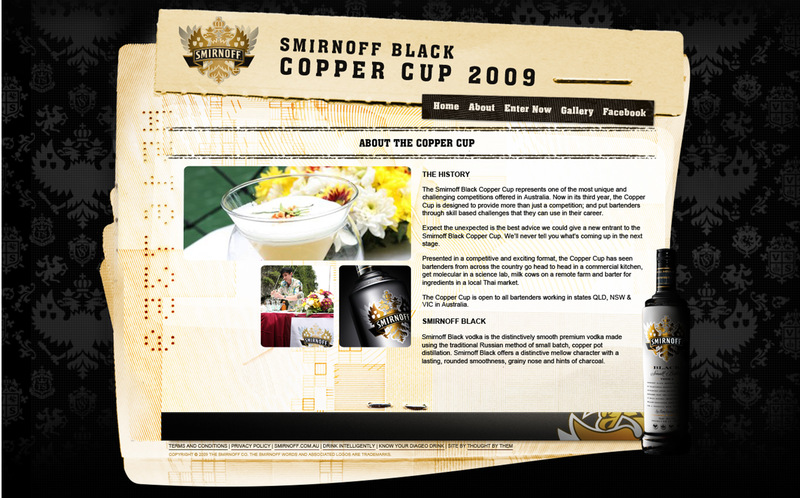 I wanted to give the website a heavy, dark feel as the product being promoted was Smirnoff Black. The aim of the website was to draw participants and spectators into the competition. The gallery presented users with photos of previous Copper Cup events. 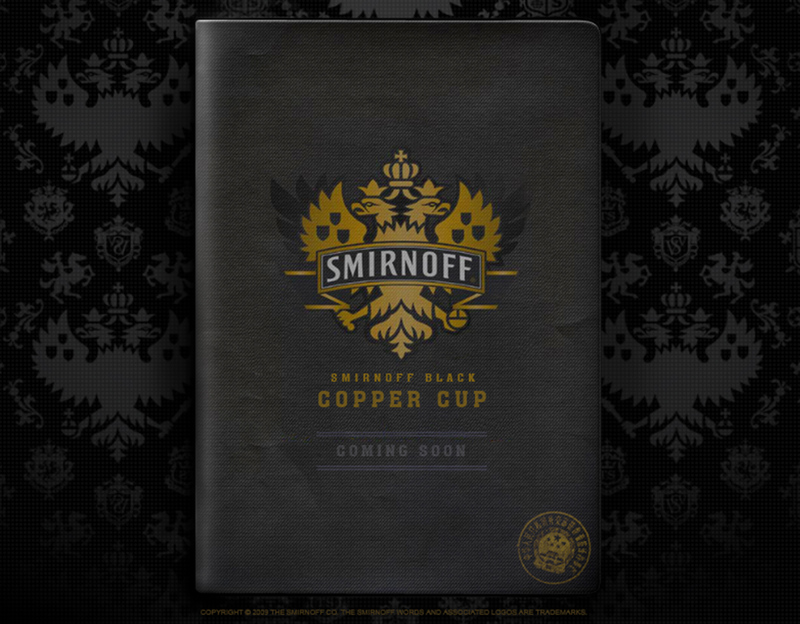 The entry form allowed users to enter the Copper Cup, for a chance to be flown to an exotic location to show off their mastery, pitted against other bar craftsmen/women for the prestigious Smirnoff Copper Cup.